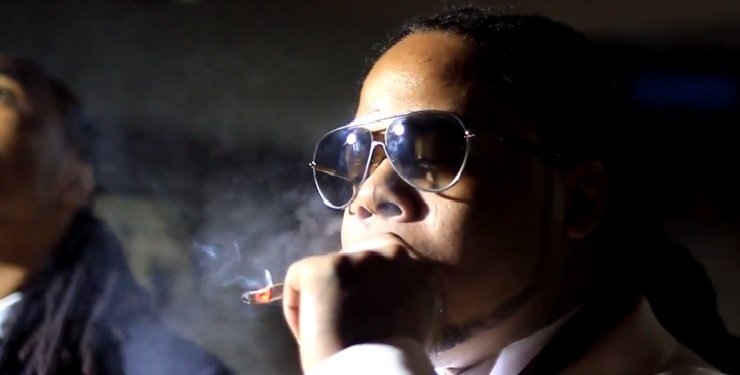 King Louie is gearing up to release his forthcoming Drilluminati 2 project and today releases a short behind the scenes look at his new music video for “Tony.” The latest single for the rapper finds the Chicago rapper dressed in a tuxedo with his crew as he embodies the spirit and flashiness of fictional character, Tony Montana, featured in the film Scarface. Go behind the lens as cameras catch up with Louie who serves up some commentary on the concept for the visual. This entry was posted in Miscallenous, Video and tagged behind the scenes, BTS, chicago, hip hop, king louie, Music Video, rap, tony, tony montana. Bookmark the permalink.